With Christmas on the approach, we’ve got some must have looks for you to recreate using our new It’s A Luxe Life Collection! Once you’ve got all the products you need, simply follow our step by step tutorial below to get this Starry Night nail art look! Start by prepping your nails for your new Red Carpet Manicure look, then apply Prep to each nail. Apply Structure Base Coat Gel and cure under the Red Carpet Manicure LED Lamp for 30 seconds.Apply one coat of Throw Some Glitter On It and cure for 45 seconds. Apply a second coat, and cure for a further 45 seconds. Using a sponge, dab A-Muse Me lightly onto your accent nail and cure for 45 seconds. Repeat this process one more time to get the desired colour combination. Using a thin brush, take Red-Y To Party across the accent nails in short, small stripes. Cure this under your LED Lamp for 45 seconds. 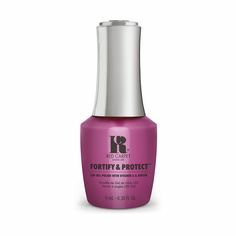 Apply Brilliance Top Coat Gel to all nails and cure for 45 seconds. Remove tacky inhibition layer with Purify and a lint free wipe. 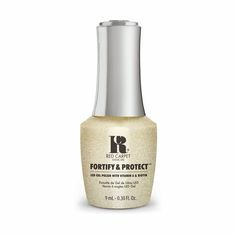 Apply Revitalize to each cuticle, keeping nails strong & healthy for winter! Make sure you share your Starry Night nail art designs with us using the hashtag #RCMNailIt on Instagram! Follow all our Luxe Life looks over on our Facebook, Twitter, Instagram and Pinterest.